According to figures from 2010, an estimated 285 million people globally had diabetes, with type 2 making up about 90% of the cases. Its incidence is increasing rapidly, and by 2030, this number is estimated to almost double. The remarkable takeaway from that fact is that type 2 diabetes is caused by what we call a “western diet” – too much sugar, too much starch (mostly white flour and white rice products), and too much meat. As countries in the developing world become wealthier and adopt more of the American diet, they also exhibit more cases of type 2 diabetes. Diabetes is defined as a “group of metabolic diseases in which a person has high blood sugar, either because the body does not produce enough insulin, or because cells do not respond to the insulin that is produced. This high blood sugar produces symptoms of frequent urination, increased thirst, and increased hunger.” Diabetes carries the risk of long-term complications, which typically develop after ten to twenty years. These complications are most typically cardiovascular disease, stroke, and peripheral vascular disease. 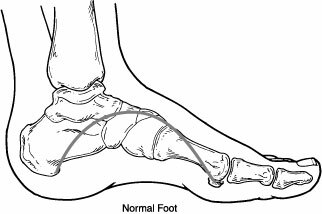 A long term complication of diabetes, Peripheral Neuropathy, is a nerve condition which causes numbness, tingling and pain in the feet, and increases the risk of skin damage due to reduced sensation. 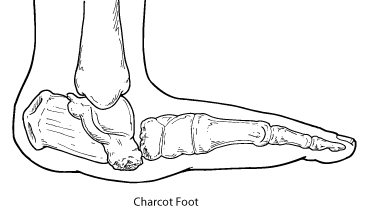 When combined with diabetes related vascular damage (small blood vessel damage), problems with the lower legs and feet can be quite serious and may sometimes lead to partial or complete amputation of the foot, leg, or toes. Up to 70 percent of people with diabetes will develop some type of neuropathy, making it one of the most common side effects of this disease. Recent studies have suggested that decreased blood flow to the nerves can also contribute to the development of diabetic neuropathy. Over time excess blood glucose can injure the walls of tiny blood vessels that nourish your nerves, especially in the legs. Nerves send messages to and from your brain about pain, temperature and touch. They tell your muscles when and how to move. They also control body systems that digest food and pass urine. When the nerves aren’t fed properly by the blood vessels, they cease to do their job. While diabetes is a frequent cause of neuropathy, it is not the only cause. Nutritional deficiencies, chemical exposures, pressure on nerves, or medications (such as some of those used for chemotherapy or to treat AIDS), can also cause neuropathy. If you have been diagnosed with diabetes, take great care to stick to the diet recommended by your physician and watch for signs of any tingling or pain in your legs or feet. We encourage you to make an appointment with PA Foot and Ankle Associates’ Diabetic Foot Center where you can learn about the symptoms of peripheral neuropathy and how to take proper care of your feet.